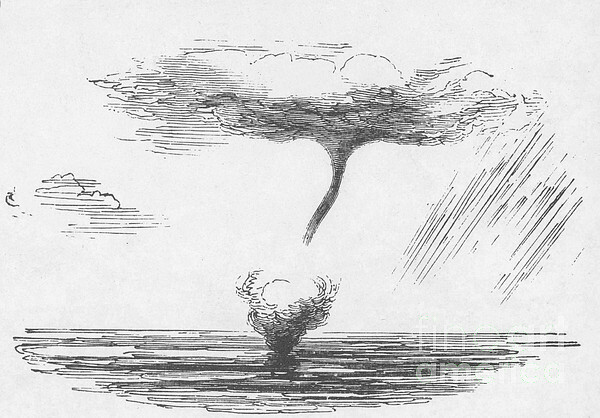 There are no comments for Waterspout. Click here to post the first comment. A waterspout is a small-diameter column of rapidly swirling air in contact with a water surface. 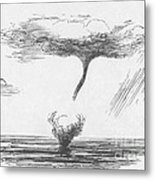 Waterspouts are almost always produced by a swiftly growing cumulus cloud. 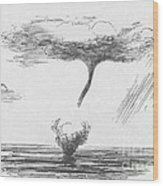 They are a funnel-shaped or tubular portion of a cloud over the ocean or other body of water that, laden with mist and spray, resembles a solid column of water reaching upward to the cloud from which it hangs. 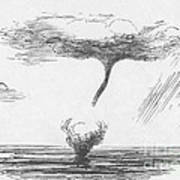 Waterspouts are closely related to other atmospheric phenomena such as tornadoes, whirlwinds, and fire storms.